Igor Liubchenko, Serhii Kuliaba and Oleh Pryimachov all secured titles on a busy day of finals at Orbita Hall. Liubchenko struck first in the men's 63.5 kilograms final against Iran's Ali Zarinfar, winning on points 30-27. Immediately after, in the next bout, Kuliaba doubled his country's tally. He overcame Russian Vladimir Kuzmin 29-28 to seal the 67kg gold medal. 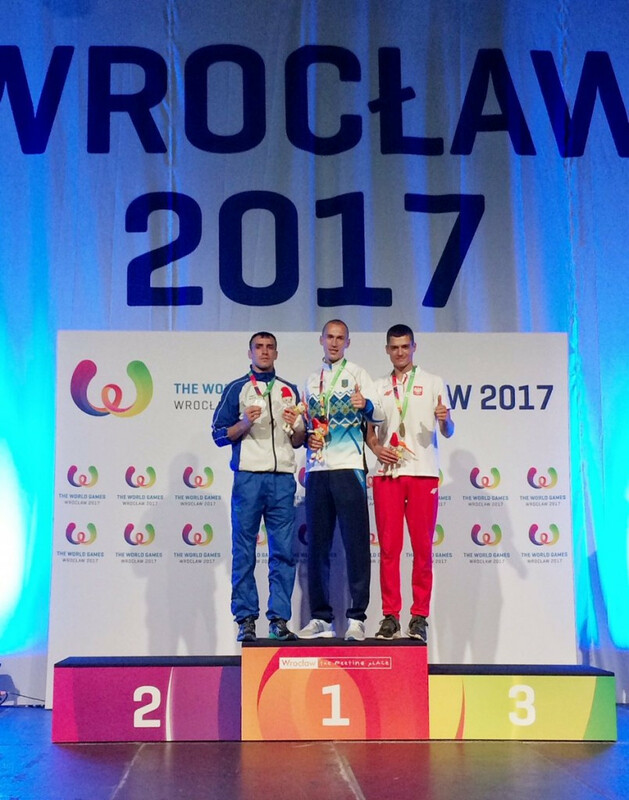 Ukraine had to wait until the final fight of the night before completing the treble as Pryimachov claimed a walkover victory against Poland's Lukasz Radosz in the 91kg final. In front of their country's Minister for Sport and Tourism, Kobkarn Wattanavrangkul, Thai competitors claimed two gold medals. Wiwat Khamtha sealed the first after scoring a 30-27 win over Russia's Aleksandr Abramov in the men's 57kg final. Suppachai Muensang then joined Khamtha on top of the podium as he won the men's 71kg title against Iranian Masoud Minaei, 30-27. There could have been a third title for Thailand but Apasara Koson was beaten in the opening final of the night. She lost the 51kg gold medal contest against Vietnam's Bui Yen Li 30-27. Sweden's Sofia Olofsson prevailed in the women's 54kg final, defeating Valeriya Drozdova of Russia 30-27. Svetlana Vinnikova managed to win gold for Russia, however. She defeated Finland's Gia Winberg 30-27 in the final of the women's 60kg event. The remaining three men's titles were won by competitors from Kazakhstan, Belarus and Turkey. Kazakh Elaman Sayasatov defeated Spaniard Kevin Martinez 30-27 in the 54kg final. Belorussian Vital Hurkou clinched 75kg gold after beating Vasyl Sorokin of Ukraine 29-28 while Turkey's Ali Dogan was crowned champion in the 81kg class after he claimed a 29-28 win over Sweden's Constantino Nanga. 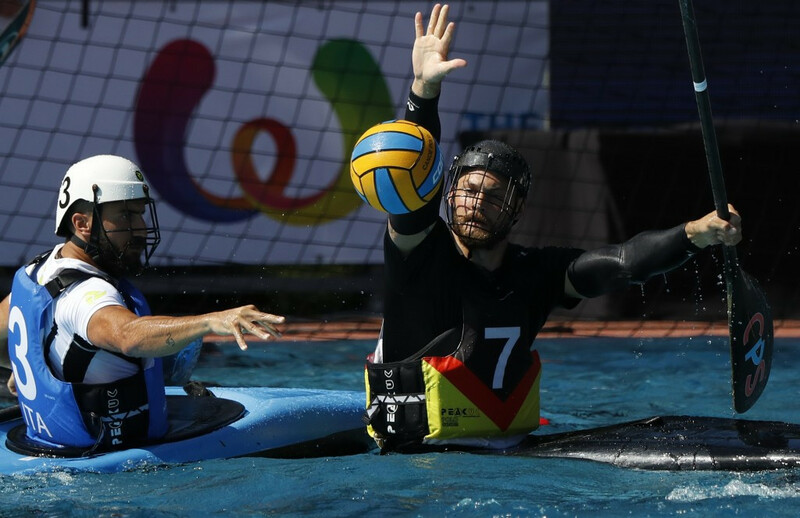 Elsewhere today, Germany claimed a memorable pair of gold medals in the men's and women's canoe polo finals. Both teams were defending champions coming into the Games and both succeeded in retaining their titles. The men's team comfortably beat Italy 4-1 in the final with bronze going to Spain after they overcame France 2-1. Germany's women won even more emphatically as they sealed gold with a 5-0 humbling of France. Italy sealed bronze in the women'e event by beating New Zealand 4-3. There was one gold medal awarded in tug of war today. Great Britain won the men's outdoor 640kg title at Marsowe Fields with a 2-1 success over Switzerland. Germany finished in bronze medal position after they brushed aside Sweden 3-0.